Today Mayor Bill de Blasio and the Federal Emergency Management Agency (FEMA) announced that New York City’s flood maps will be revised to add more buildings to high flood risk areas. “We are building a stronger, more resilient city to confront climate change. Our city needs precise flood maps that reflect real risks, both today and years from now—and we have to do that fairly. We will work closely with FEMA to ensure New Yorkers in the floodplain are prepared, and that the tools to make them more resilient, like flood insurance, remain available and affordable. We are grateful to FEMA to agreeing to this partnership,” said Mayor de Blasio, in a statement. The agency’s decision comes after the de Blasio administration appealed to FEMA last year to update flood risk calculations for the city and region, a move that added 35,000 buildings to the highest flood risk areas. 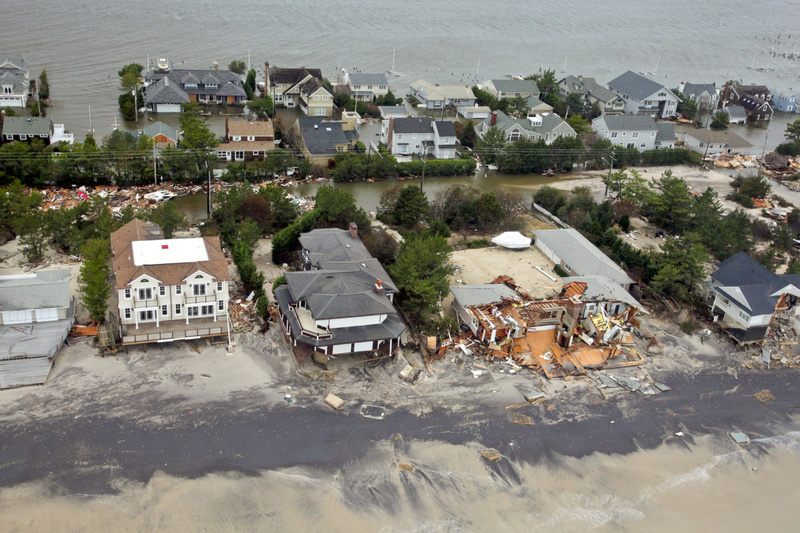 According to FEMA regional administrator Jerome Hatfield, the region’s coastal flood risk maps have not been updated since 1983, a comparatively halcyon time when climate change–intensified superstorms did not threaten to annihilate New York City. To educate its citizens on the dangers of the rising seas, the city has created a comprehensive site for flood risk information, and the city plans to do additional outreach once the new maps go into effect.